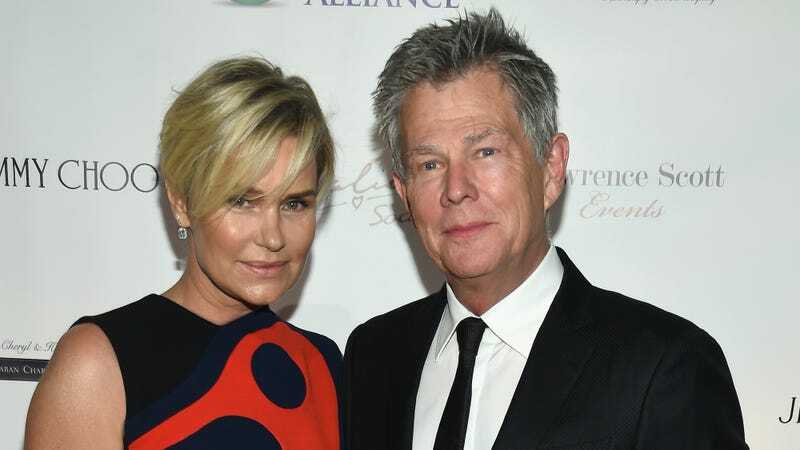 When Yolanda and David Foster announced their separation on December 1, it was immediately clear that we would be seeing the unraveling of their marriage on the next season of the Real Housewives of Beverly Hills, which premiered that same day. They are far from the first marriage we’ve seen dissolve in front of the Real Housewives cameras; they now join a very long list that includes three divorces from Beverly Hills alone. Sixteen episodes into the season, we’ve seen only hints of their problems—many of which seem to stem from how they’re each handling Yolanda’s illness—but last night was perhaps the clearest look into their demise. After giving glowing toasts about their love and their marriage, we hear David expressing very little optimism about the future to a friend. What’s most curious is the timing of all this. The events from last night likely took place on October 7, 2015—one day before the Global Lyme Alliance event where Yolanda delivered a speech. After Yolanda announced the divorce, there were reports that the couple had already been separated for months—meaning they were likely separated, or at least very rocky, when last night’s episode was filmed. Yolanda was also posting very lovey-dovey pictures and captions on Instagram just a month before they announced they were splitting. The other housewives have also remarked that the couple gave no clear sign they were having trouble. As Yolanda’s illness waged on, the shift between the two of them became obvious. Most notable was that Yolanda moved into a smaller apartment and David still seemed to travel constantly. All season we’ve seen Yolanda apologize for being sick and thanking David for sticking with her, even though that’s literally one of the promises you make when you marry someone. It doesn’t help that David has always seemed like kind of a jerk and they’re both probable narcissists. With about seven episodes left in the season, we’ll maybe see and hear about the final nail in the coffin for Yolanda and David, but upon further reflection, we’ve seen all we need to know.